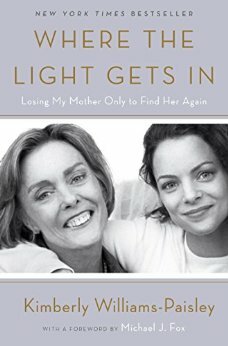 I thought Kimberly Williams-Paisley’s book might bring up some difficult memories, given the title, Where the Light Gets In: Losing My Mother Only to Find Her Again. It’s been sixteen years since my mother passed away and have avoided reading anything concerning mothers since. But once I started listening to the Audible book I couldn’t stop. Narrated by Kim, the book comes alive on tape and there’s nothing morose or downer about it. 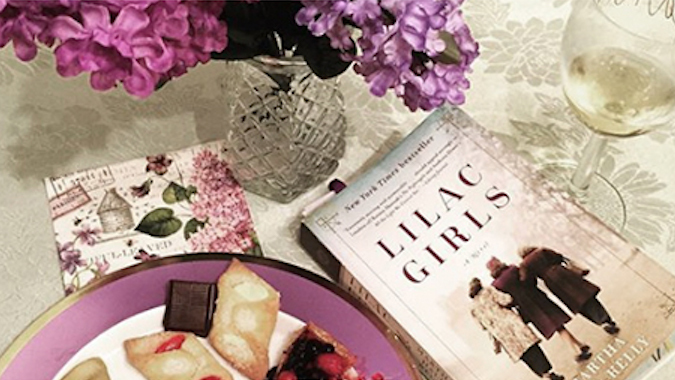 She is frank and intimate as she takes us through her days at Fieldston and Northwestern, her first big acting role on Father of the Bride and meeting Brad Paisley. But my favorite parts are when Kim talks about her relationship with her incredible, caring mother. Her mother who drank bourbon from a wine glass and brought an extra purse to an all-you can eat buffet and filled it with lobster and goodies to bring home to her children. Who encouraged Kim to do things because it would make a good story. Her mother, whose behavior started becoming more extreme. Don’t want to give away too much, but this is a story worth your time, a heartbreaking, funny story of exuberance and strength that proves Kim has inherited her journalist father’s writing talent. A fascinating look at how quickly a terrible disease like PPA can hijack a life. A road map for how to be a good parent. Turns out it’s a good thing Kim’s mother encouraged her to do it all. Because it really did end up making a good story.